With the Plus style Moto Mirror heads you get more visibility than with any other. 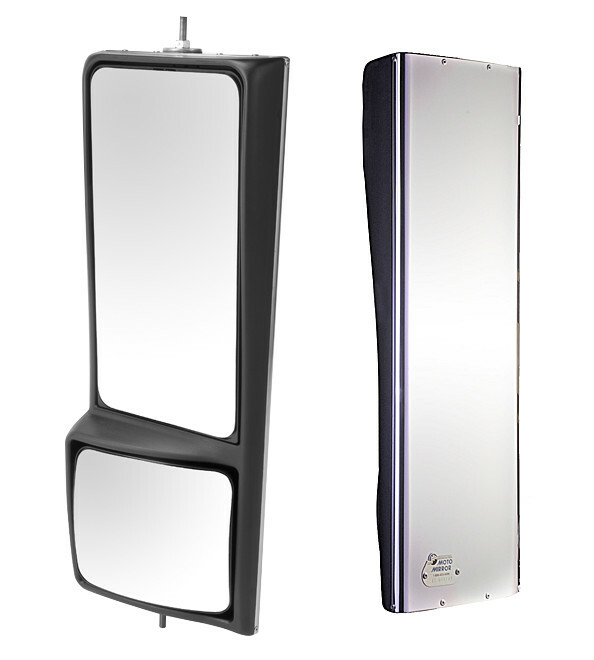 The unique Moto Mirror horizontal head rotation moves the combination main and convex mirrors in tandem to give you up to 1,400 square feet more visibility than a conventional setup. The top flat glass also provides motorized vertical movement. Quality is built through and through with classic styling that is made to last. Proudly made in the USA, these mirrors will make your rig look great and help ensure you see what you need to see when getting your work done.